Learn a little about the great physicist Albert Einstein, and enjoy our collection of Einstein resources, which include quote printables, worksheets and colouring pages. Albert Einstein was born on March 14th 1879 in Ulm, Germany to non practising Jewish parents Hermann and Pauline. When Albert was one year old the family moved to Munich where he grew up and attended school. Albert’s father and uncle ran a company which manufactured electrical equipment. This helped to foster Albert’s interest in science and mathematics. However, he was seen as an ‘average’ pupil at school and fought against the strict discipline. When his family moved to Italy, Albert dropped out of school and followed them. He finished his secondary education in Switzerland, gaining top grades in maths and physics. From 1896 to 1900 Albert studied at Zurich Polytechnic, graduating with a teaching diploma. However, he was not able to find a teaching post and in 1902 moved to Bern and began work in the Patent Office. 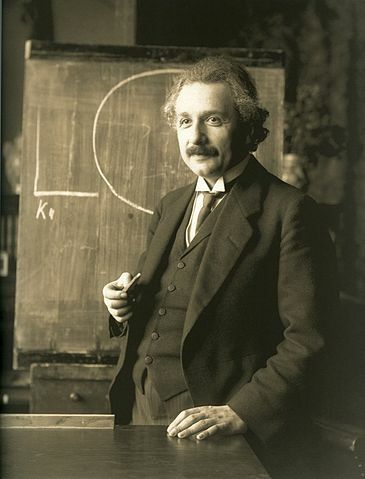 In his spare time Albert worked on understanding and researching theoretical physics. In 1905 he published 4 important papers that made him famous in the world of science. One included his famous equation E=mc2. From 1909 to 1916 Albert spent much time working on his General Theory of Relativity. By 1919 his ideas were widely accepted and in 1921 he was awarded the Nobel Prize for Physics. With the rise of the Nazi government in Germany it became impossible for Albert to remain in Germany because of his Jewish heritage and in 1933 he moved to the USA. He remained in America until his death in 1955, continuing to research all of his life. In 1999 he was named Time magazine’s ‘Person of the Century’. Print and fold this simple booklet and use it for storing all the Einstein information you collect with the kids - or perhaps to write down some of his more famous quotes and ideas. Folding instructions are here. Colour in our fun colouring page of Albert Einstein, designed for younger kids and picking out some of his well-known characteristics - his hair, mustache and pipe, for example! This comprehension worksheet provides our potted biography of famous physicist Albert Einstin, and then a sheet of questions for the kids to answer. Perhaps the children could use this newspaper writing prompt to write about Einstein's Theory of Relativity, or perhaps to describe his winning of the Nobel Prize for Physics or Time Magazine's "Man of the Century" award. Our notebooking pages are a good place for older children to collect notes, information, facts and quotes about Albert Einstein. Sheet 1 includes space for a drawing or stuck-in picture too. Here are all our Albert Einstein resources in one easy-to-download-pack, to save you time if you would like to use all our activities. Here's a fun illustrated poster of Albert Einstein, perfect to put on display for younger children. This photographic poster shows an instantly recognisable Albert Einstein, with blackboard behind him. This is perhaps one of the best known images of Albert Einstein, with his mad hair and characteristic mustache! It prints best using borderless settings - otherwise you may want to trim the edges. "Try not to become a man of success. Rather become a man of value." This simple worksheet asks children to think about what Albert Einstein meant when he said this, and to rewrite it in their own words. Perhaps you could also discuss whether he achieved what he advised. "You never fail until you stop trying". 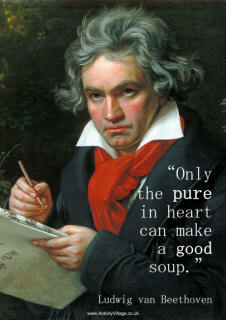 This is an interesting quote to discuss with the kids, which is why we created this worksheet around it. Use our Albert Einstein story paper to write a little biography, discuss some of his theories, collect quotes… Or to write a story about the man himself. Use our printable timeline of Albert Einstein's life on its own or together with our timeline worksheets. Cut the squares from page 1 of this Albert Einstein timeline worksheet and then stick them into the correct places on the timeline on page 2. Fill in some important events in the life of Albert Einstein on our blank timeline worksheet. Find the words relating to Albert Einstein in this simple word search puzzle -a fun accompaniment to your Einstein studies! Our Albert Einstein writing page is designed for younger children to store what they have learned about this great mathematician and scientist, and comes in either colour or black and white. This is a challenging "compare and contrast" activity - for two great scientists, Albert Einstein and Stephen Hawking. They will have to do research into both men before completing this worksheet. Learn to draw your own picture of Albert Einstein, picking out some of his best-known features! Just follow along with our step by step instructions. 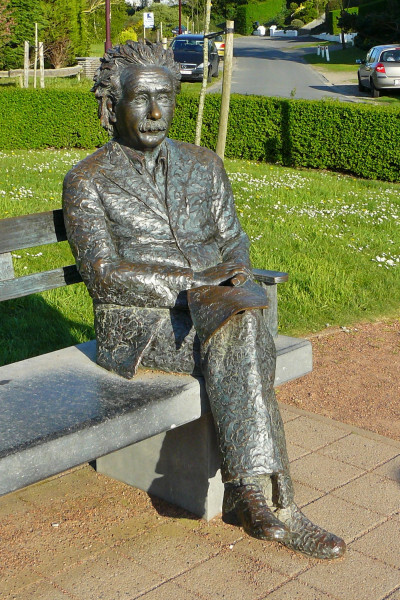 We love this statue of Albert Einstein sitting on a bench, and believe it might be in Belgium! Please correct us if we are wrong!